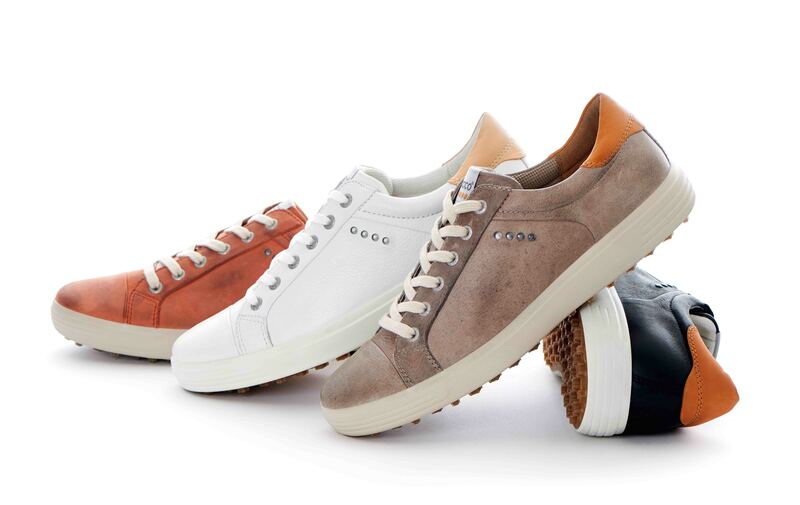 Hot on the heels of its Masters limited edition Freddie Couples shoe design launch, Danish footwear brand ECCO has announced its Casual Hybrid range. Combining eye-catching styles, premium materials and advanced technologies, the Casual Hybrid is now offered in a sleek sneaker version for more, as well as modern-classic Brogue options for men and women. Each has been given ECCO’s HYDROMAX treatment to make them highly water-repellent. Set to sit alongside the Spring/Summer 2015 collection, it is built atop the patented E-DTS outsole, which boasts approximately 100 moulded traction bars delivering nearly 800 traction angles to give great grip. Like all ECCO Golf shoes, the Casual Hybrid has been made using the Direct-injection process, bonding the upper and outsole unit to create a one-piece shoe construction without the need for glue or stitching. Michael Waack, head of global golf at ECCO, said: “The pioneering spirit that led us to introduce the first hybrid footwear in golf continues to driver our innovation season after season.